Join USGBC-Illinois and the North/Northwest Branch to dive into the different third-party residential green certification programs. When it comes to building, remodeling, designing or developing Green homes that are above code, there are many different labels to choose from. Each certification comes with different requirements, opportunities, costs, 3rd party oversight and tools and resources to guide you. 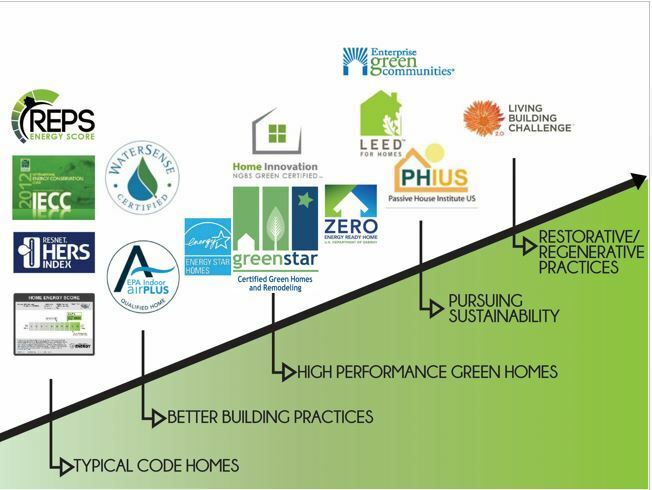 This session will help you make sense of the different Green Home certification labels by comparing and contrasting LEED for Homes, National Green Building Standard, GreenStar Homes, Green Communities, Passive House, DOE Zero Energy Ready Home, Energy Star for Homes and the Living Building Challenge. The program will look into each system individually and then together through the lens of cost, 5 key categories, 3rd party oversight requirements, popularity, growth, and changes. Also, learn which programs apply best to different building types; Single/ multi family, mid rise, rehabs, remodels and additions and new construction across market and rate and affordable housing will all be discussed. The session will also briefly discuss the impact on appraised market value for green homes. Are you ready for constantly changing energy & green codes, the expanding of the Chicago's Green MLS and the growth of the 80 billion dollar residential green home market?